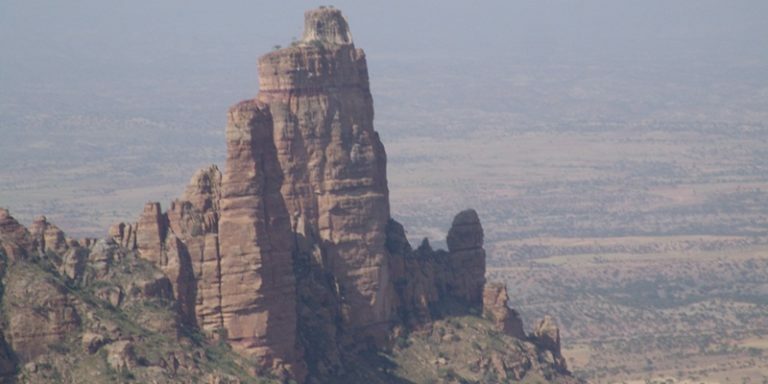 Denakil depression extraordinary natural formation!! 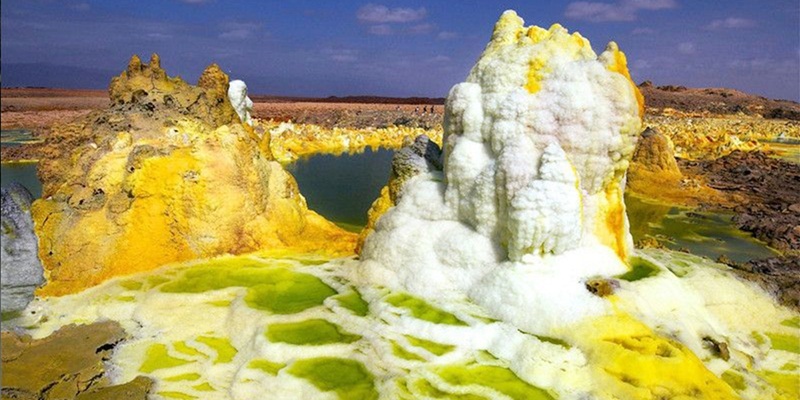 These packages are truly strange and will take you to the remotest, lowest and hottest place in the world. 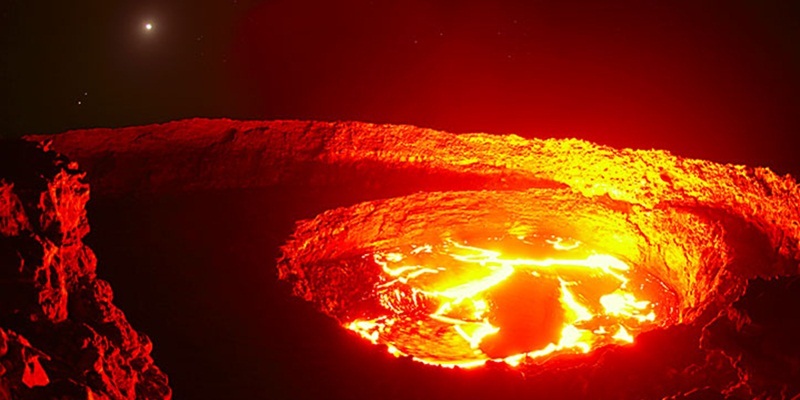 Here you will witness the active volcano of Erta Ale; it is absolutely worthy to see the bubbling lava. “This is the place where the earth breaths as we do!” Denakil depression is the most astonishing place, nowhere in the World but in Ethiopia. 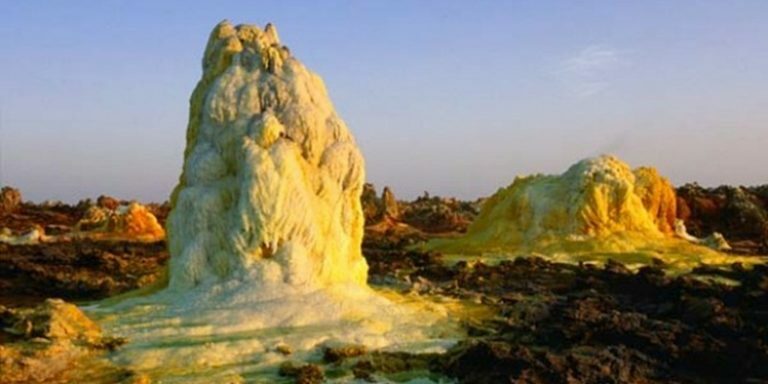 Danakil Depression is an extraordinary occurrence in the world. No word, picture or filming equitable to explain about it. 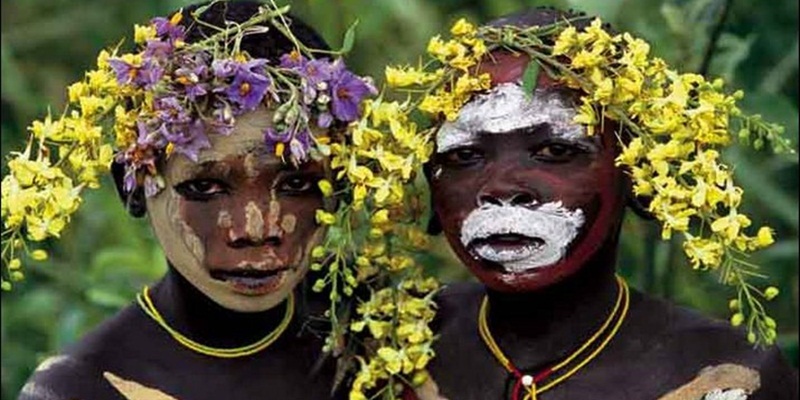 The only real picture is being there physically & putting it photographed in your mind! 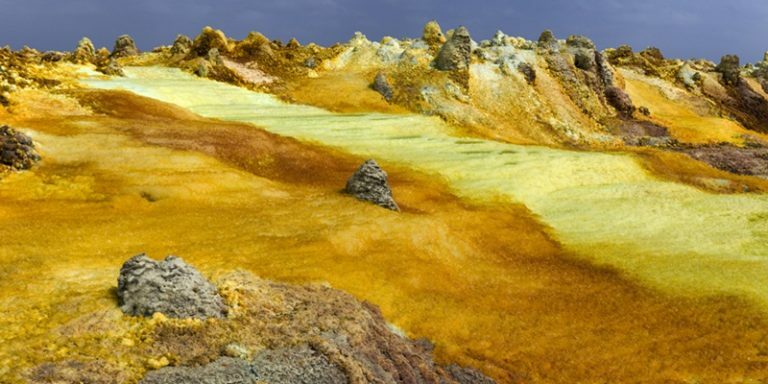 Come and explore the life time memory of the Danakil depression’s miraculous event. 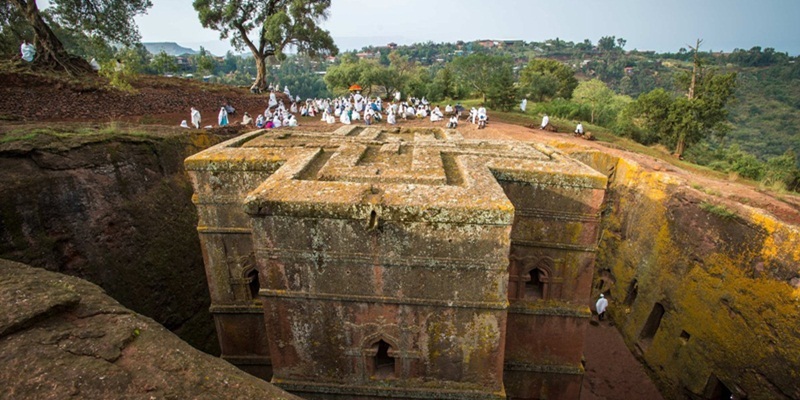 We are looking forward to take you there as your agent in Ethiopia. After early breakfast drive to Dallol/Denakil Depression, which straddles the Eritrean border to the east of the Tigraian Highlands and is officially listed as the hottest and active place on the earth surface with an average temperature of 40 – 45 degrees Celsius; then head to the Lake Asalé, salty Lake and visit the salt workers and the merchant. Most of this vast and unpopulated region lies below sea level at 116 Meters. Finally drive back to Hamedela for overnight stay; overnight Camping at Ahmed Ela. Morning; drive from Hammed Ela towards Arte Ale (78km road) via Kursewat. After arranging camel/s for Erta Ale Mountain, then climb Erta Ale accompanied with camping gears, being loaded by Afar Camel (3-4hrs walk). 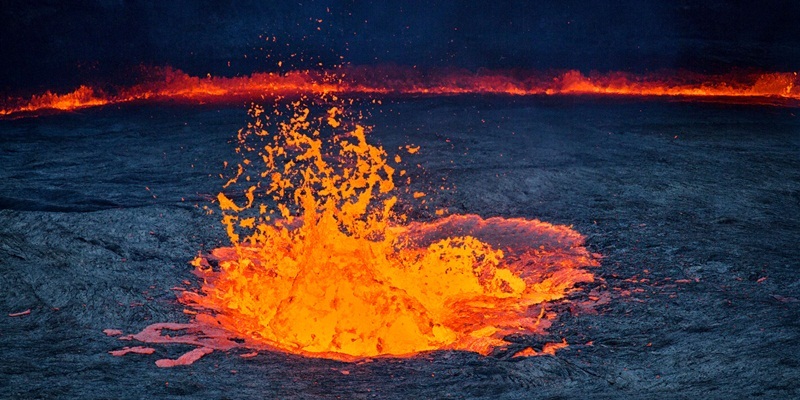 After a short siesta, explore the extraordinary lava that babbles from its mouth of Erta Ale volcanic fire. During night time the volcano will be fully seen with its magnificent color of zigzagging fire, produced from huge rocks. Therefore; in the evening, we will descend from Camping site to the drama of the volcano. Overnight- camping on the top of Arte Ale.